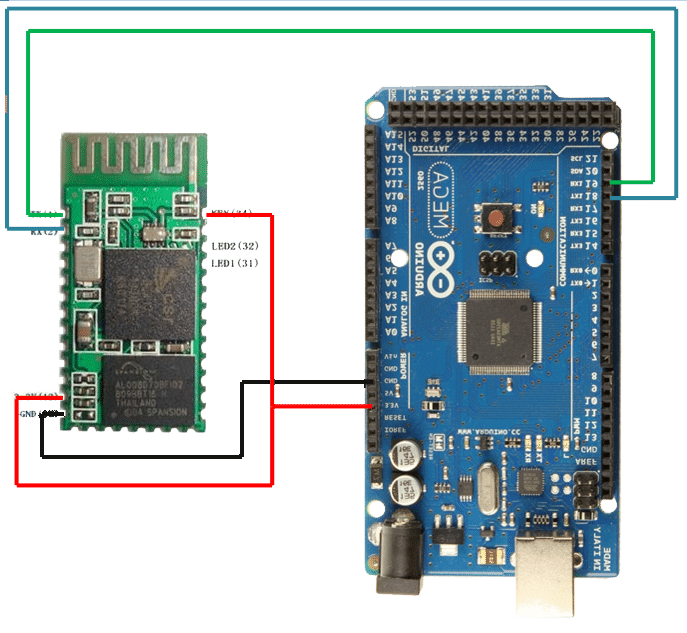 Interfacing Bluetooth HC-05 and HC-06 with Arduino using AT Commands in Master Mode. 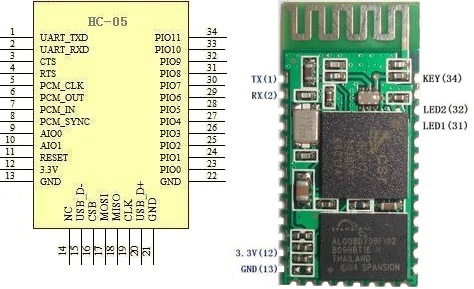 To Bring Bluetooth HC-05 and HC-06 in command mode, connect Pin 34 (command) with 3.3v (Vcc), but remember, when HC-05 or HC-06 will be in command mode, its baud rate will automatically change to 38400, which is default, no matter what have you set your baud rate earlier for data transfer. To bring Bluetooth back in Data Mode, just disconnect Pin34 (PIO11) from +3.3v and leave it open / disconnected.